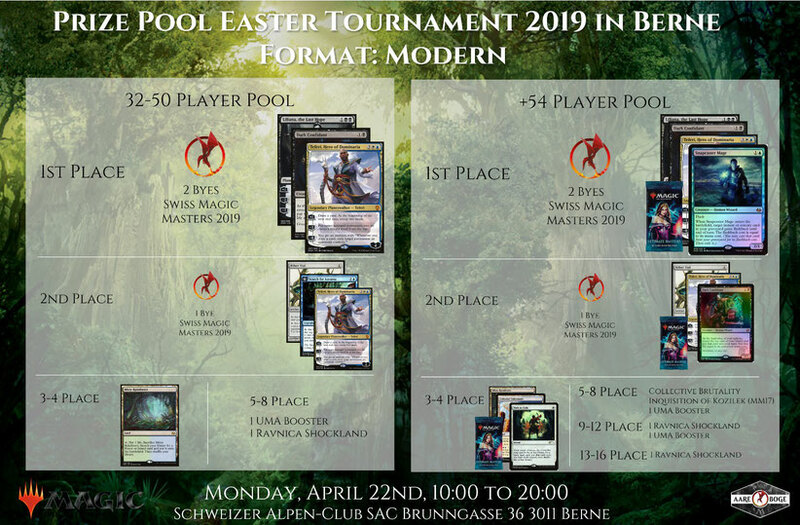 Win byes for the biggest Magic Event of the Year in Switzerland, the Swiss Magic Masters Autumn 2019 in Bern! Prepare for a Day full of Magic with a great Pricepool! Registration opens at 9:30, tournament starts at 10:00 exactly. We sell botteld drinks & tasty snacks during the Tournament. Lunchbreak after the second round. Home-made sandwiches sold at the Kiosk. For additional players, we will add 4 boosters from current sets to the prize pool.